To be honest, I am a bit too young to truly grasp the depth of the impact Ted Kennedy had on American politics. However, I do know he was a champion of what is good and right and humane. As a tireless advocate for immigration reform and for a compassionate approach to the issue, Kennedy was a champion of our movement. I will be posting FIRM groups statements from around the country as they pour forth to mourn a man President Obama has called "one of the greatest Senators of all time". But first, from Deepak Bhargava, the Executive Director of the Center for Community Change, a heartfelt statement about what Kennedy has meant for immigrants and the immigrant rights movement. “Sen. Kennedy understood, seemingly better than any other modern-era politician, the contributions immigrants have made and continue to make to our country’s economy, culture and society. He deeply believed that every wave of immigrants reenergized and advanced America and its people. He knew immigration was not something to fear, but something to welcome. We at MIRA remember Senator Kennedy most vividly, perhaps, when he faced Immigration and Customs Enforcement agents, with visible passion, to protest the New Bedford raids of 2007. This was only one instance of his tireless work in defense of the innocent, and I am sure many others share equally inspiring memories. Senator Kennedy's presence in Massachusetts was as rich as it was long, and he will live in history as a testimony to America's greatest ideals. Senator Kennedy was an icon of the immigrants' rights movement, who provided support and assistance to countless Massachusetts immigrants, refugees, asylum seekers, and students. We owe it to his memory to enact both health care reform and a comprehensive immigration reform, so that those he served so well will continue to have the healthy and prosperous lives he championed for them. Today our hearts are heavy for the entire Kennedy family, and we pause to grieve for our nation, which has lost something irreplaceable. Tomorrow we will do what Sen. Kennedy had to do so many times in his life after tragedy - rededicate ourselves to health care reform, immigration reform and economic justice. In the words he used to end his 1980 campaign for the presidency of the United States: ‘The work goes on, the cause endures, the hope still lives, and the dream shall never die. Today we reflect with gratitude on the legacy of Senator Kennedy and his long-standing commitment to bettering America's immigration laws. Senator Kennedy understood that we cannot ignore the contributions immigrants have made to America's history, strength, and the potential of our nation. As we mourn the loss of this visionary leader, we must complete the struggle for a humane and just immigration system. It is to honor the memory of Senator Kennedy that CIRC recommits today to the fight for comprehensive immigration reform. 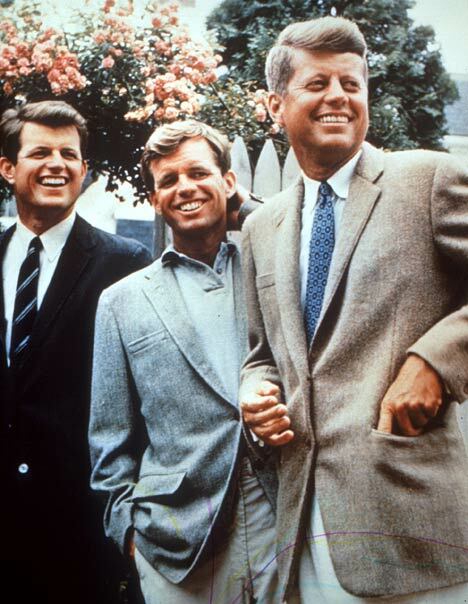 America can live up to the promise or which Senator Kennedy so nobly fought. We look forward to working with Colorado's Senators and members of Congress to make Senator Kennedy's vision a reality. "Senator Kennedy symbolized true leadership in the face of adversity. Labeled as a liberal democrat, the brother of one of our most beloved presidents was a beacon of hope for millions of immigrants and refugees who have directly benefitted from legislation he introduced and championed in his many years as a legislator. From supporting gun violence prevention to promoting public health care, from advocating immigration reform to defending workers’ rights, the voice all of us could count on was Senator Kennedy’s. He taught many, including his colleagues across the aisle, that civil servants are in fact elected to serve the interests of all, with especial attention to those with the least. His leadership, wisdom and humanity led to making immigration reform stand as a national priority necessary for upholding our nation’s values.